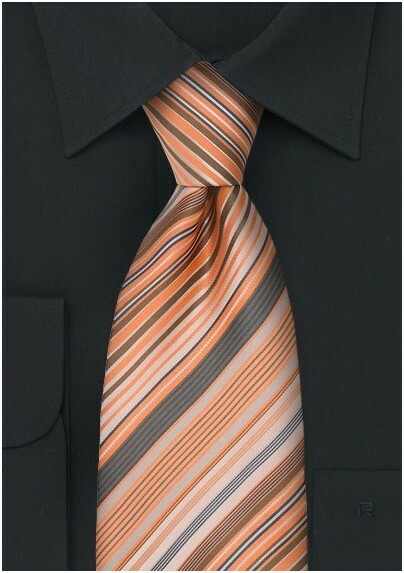 Add some color to your trendy black shirt with this modern striped tie in light apricot orange and gray. 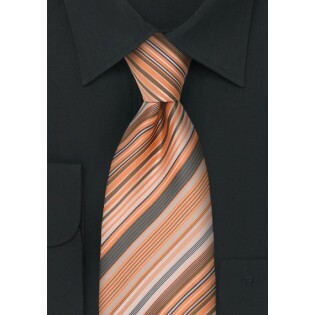 It is a perfect tie for the man seeking something out of the ordinary but at the same time wants to keep his professional business look. This modern narrow striped design by Puccini is also available in several other summer time colors such as lime-green, sunflower-yellow, teal, turquoise, and sky-blue. Made from care-free microfiber.